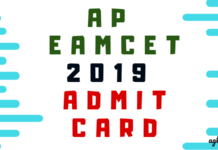 Andhra Pradesh ICET – AP Integrated Common Entrance Test (AP ICET) is conducted by Sri Venkateswara University on behalf of Andhra Pradesh State Council of Higher Education (APSCHE). The Common test is organised annually to determine admissions into MBA, MCA programs. All the information regarding AP ICET is uploaded on the council’s website at www.sche.ap.gov.in/icet. A candidate who has completed his bachelor’s degree in any discipline and has read Mathematics is eligible to apply. 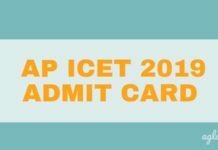 Candidates can check all the details about AP ICET from this page. 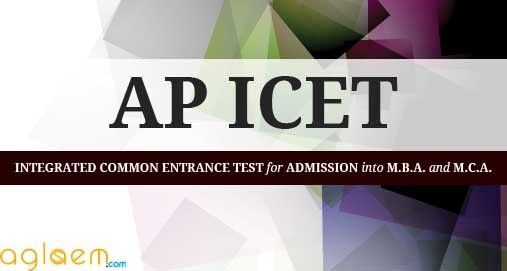 AP ICET is a state level MBA / MCA entrance exam. Candidates are informed that the table below contains the scheduled planned for AP ICET. These are for the reader’s reference purpose only. The test is conducted in 2 sessions. Candidates are required to clear a 150 minutes Computer Based Test. The 200 questions containing question paper is divided into 3 sections. You may expect questions from the sections- Analytical Ability, Mathematical Ability and Communication Ability. 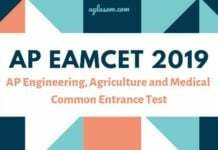 A candidate eligible and interested in applying for Andhra Pradesh ICET must check whether he/she is eligible to apply for the exam or not. Ideally as well, checking the conditions should be the first step as every exam has a different guideline. So noting the conditions on the basis of which the exam conducting body measures candidates are a set of criteria. So let us see the conditions as applicable to candidates last year. A candidate must be an Indian National. Candidate should satisfy the local/non-local status. For admission to MCA/ MBA and 2nd-year lateral entry to MCA. Minimum Marks requirement- at least 50% marks (45% for reserved categories) in aggregate in qualifying examination. Final year appearing Candidates- Final year candidates may also apply. Number of Questions- 200 questions. Arithmetical Ability- Laws of indices, Pipes and cisterns, Rational numbers, ratio and proportion, surds, numbers and divisibility, Percentages, Profit and loss, Ordering, Partnership, time, distance and work problems, areas and volumes, mensuration, modular arithmetic. Algebraical and Geometrical Ability- Statements, Truth tables, Plane geometry, Tautologies- Sets, Relations and functions, Applications, Notion of a limit and derivative, implication converse and inverse, Equation of a line in different forms, Trigonometry, Polynomials, Progressions, Binomial Theorem, Matrices, etc. Day to day vocabulary, functional use of Grammar, basic terminology and concepts in computer and business and Reading Comprehension etc. If the results of btech of last semester are not released yet .Are we eligible of writing this exam? Hey it’ll be out soon, so please keep checking.